Harmony School of Innovation channels students to achieve a comprehensive education. After a full career of academics as well as extracurricular activities, seniors graduate prepared to take the next step to a successful future. One senior who has an impressive resume is Yewande Tojuola. Tojuola has taken Advanced Placement classes throughout her high school years. 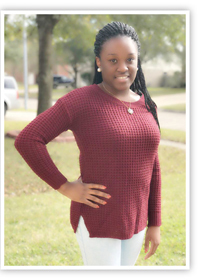 She is a member of the National Honor Society (NHS), Health Occupation Student of America (HOSA), African Students Association (ASA), Peer Assistant Tutoring (PAT) and Junior Achievement (JA). She is also a member of the choir. 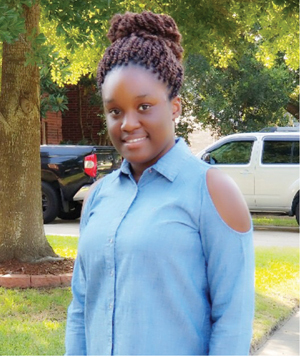 Last April, Tojuola became a Questbridge College Prep Scholar. She has received Honor Role and Distinguished Honor Role recognition and was awarded for her commitment to volunteering. In addition to her school commitments, Tojuola is an usher at her church, Redeemed Christian Church of God: Restoration Chapel. She also plays the piano and sings in the church choir. She volunteers for service projects, helps at food drives and helped with the clean up on Galveston Beach. Tojuola will be applying to go to college at the University of Pennsylvania. She will major in Psychology and will be in the pre-med pre-professional program. Congratulations Yewande Tojuola on your venerable commitments and optimism. Good luck, as you continue to make an impact on everyone you meet in your future.